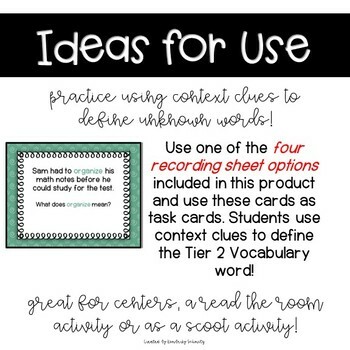 Included in this product are 24 task cards that require students to use context clues to determine meaning of Tier 2 Vocabulary words. 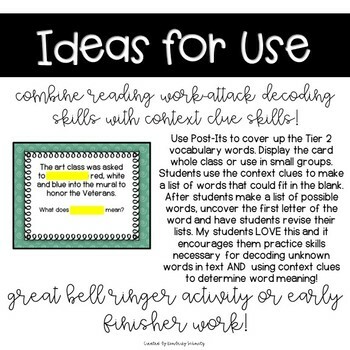 Use these whole group, in centers, as bell-ringer activities, for early finishers, as a read-the-room, or as a SCOOT activity! 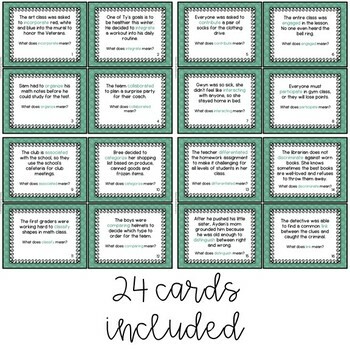 Check out the preview for teaching ideas, including a way to use these cards to apply both word attack skills AND context clue skills! 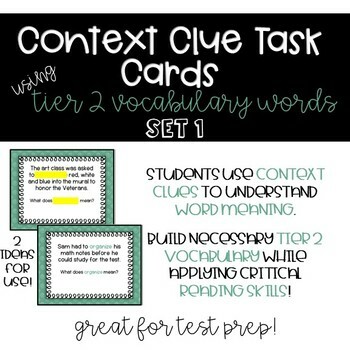 These cards are great for test prep as they build students' Tier 2 Vocabulary WHILE practicing critical reading skills! 4 student recording sheet options are included.